When you first embark on a medical career, there seems to be no limit to the practice options available. Specializations such as cardiology, neurology and orthopedics gain much of the attention, of course. However, callings such as family practice and internal medicine, while less glamorous, are no less meaningful or important. Depending on who you are and how you want your professional life to look, internal medicine may be the ideal physician career for you. If a career that involves long-term relationships, experience with a wide range of health care issues, and continuity of care appeals to you, then being an internist may be the right path for you. However, even if your goal is to specialize, internal medicine may still be a good fit if you’re unsure of which specialty to pursue. Practicing as an internist can provide you with multiple opportunities to help you make that choice. Cardiology, nephrology, endocrinology, gastroenterology, infectious diseases or pulmonology are among the specialties commonly entered by internal medicine physicians. Patients generally don’t understand that there is a difference between internists and family practitioners. Although both can serve as primary care providers, which one you want to be depends in part on who you want your patients to be. If you want to see “families” who present family problems, you’ll likely be providing health care to a large number of children during your time in practice. If, however, you prefer working with adults, than being an internist may be the better choice. Although internal medicine is not a specialty per se, it still involves the diagnosis, care and treatment of certain diseases and medical conditions. These include such afflictions as diabetes, heart disease, obesity, kidney and liver disease, and substance abuse. Family practitioners, on the other hand, are sought after more for wellness checks and less serious medical problems. Do I want to specialize? If so, what are the specialties that interest me? Given that internists have a stronger foundation for specialization, internal medicine would probably be a better fit for you. Do I want my career to involve broad, all-inclusive, family-oriented challenges? If so, family medicine is perhaps more appropriate. Am I interested in the social and community aspects of health care? A family medicine practice offers an environment in which you can develop and expand your responsibility to family and community as well as to your individual patients. Am I the type of person who thrives finding solutions to complicated problems such as diagnosing and treating difficult, confusing or conflicting symptoms? Serving as an internist will provide you ample opportunity to take advantage of and nurture that characteristic. There are, of course, other factors to be considered. Regardless of which path you choose, be it specialization, family practice or internal medicine, your community will benefit from your dedication, training, and expertise. At the end of the day, isn’t that just what the doctor ordered? Would you like to read more blogs like this? Subscribe. Like most physicians, pediatricians typically choose their jobs based on a variety of factors, including family, location, opportunities for professional growth, lifestyle and income. 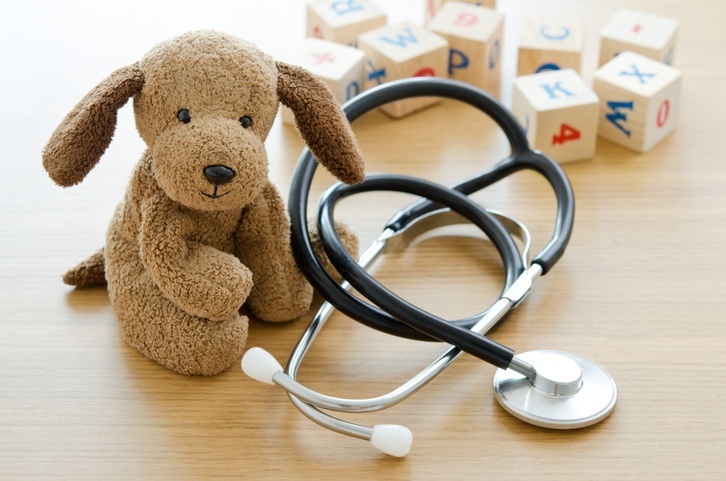 And they’ve got options; pediatricians are in short supply and high demand. But the path to a rewarding pediatric provider career isn’t likely to be paved with yellow bricks if you don’t take the time to consider the environment in which you’ll be spending your days (or nights). Solo practitioners enjoy more individual freedom, ultimate decision-making authority when it comes to business decisions and incredibly close and personal relationships with their patients. It is often an outstanding career choice for enterprising physicians who possess entrepreneurial spirits. Solo practitioners typically get to immerse themselves in every aspect of the business–from real estate to human resources to technology to care protocols to business development and marketing. The vast majority (87 percent) of all pediatric office visits are provided in either private or group practices, according to the American Academy of Pediatrics. Pediatricians working in group practices tend to want to work as part of a team in an environment that delivers shorter work hours, shared decision-making responsibilities and plenty of time to focus on patient care. Group practices often appeal to newly minted physicians interested in joining established practices where they can jump right in with patients, consult with other physicians and learn from experienced mentors. Pediatricians who work in group practices have plenty of colleagues–the vast majority of pediatricians in the United States work in group practices, according to the United States Bureau of Labor Statistics. In the 1970s, the federal government awarded a grant to the University of Utah to ensure that clinics in rural areas of the state would be staffed with physicians. Since then, the program has grown to include other areas of the country that are medically under-served. Locum tenen positions provide a temporary pediatric provider career path focused on community service. Locum tenens make tangible differences in the lives of children who might not otherwise have access to physicians with the training and skills to meet their needs. In addition, the opportunities allow pediatricians to gain valuable experience which can be used to hone their clinical skills. Learn more about Locum tenens here. The country needs pediatricians and it needs faculty to train them, conduct research to improve health care and develop innovations in delivery. This work typically occurs in academic health centers. Pediatricians who work in academic health centers work on teams, teach, conduct research and typically have access to the latest technology, tools, equipment and patients. They also enjoy a well-established benefit structure as well as a steady flow of income. Learn more about how academic pediatrics is improving the health and well-being of children. Community hospitals play an incredibly important role in the country’s healthcare system. They meet the preventative, tertiary and critical care needs of patients in communities large and small–and they offer incredible opportunities for pediatricians. The American Hospital Association estimates that more than 33 million patients were admitted to community hospitals in 2016, and many were children. Pediatricians working in community hospitals often work on complex cases. They partner and collaborate with specialists. And they enjoy a steady flow of income that isn’t typically tied to patient census or clinical appointments. There are more than 4,000 community hospitals across the country, making it possible for pediatricians to work in rural, suburban or urban settings. If a community hospital is a career path you’d like to walk down, consider Elliot Health System. If ever there were a specialty deserving of more recognition, it would be neurology. It’s advancements and accomplishments, while proving every bit as important as those of other specialties, are not nearly as well known. Perhaps the lack of public accolades is due to the very nature of neurology, which deals with both the tangible–anatomy and bodily function–as well as the intangible–disorders of the nerves and nervous system. Maybe it has more to due with the fact that open heart surgery makes for a more exciting headline than helping a person overcome debilitating migraines. More likely, it’s that neurologists generally aren’t self-promoters. In the 2nd century, A.D., Galen of Pergamum started it all with the discovery of the brain as the organ of the mind. In 1996, Eric J. Nestler and his colleagues identify a transcription factor that determines the lasting ramifications of stress and several classes of antipsychotic medications on the brain, including DeltaFosB. According to the Anxiety and Depression Association of America, 18 percent of adults in the United States suffer from an anxiety disorder. Thanks to the work of Kenneth Kendler in 2002, neurologists can now identify gene-environment interactions that are linked to the development of mental illness. In 1998, Bruce S. McEwen set out to prove that stress can cause the human brain to shrink. He succeeded, but more importantly, he also discovered that the effects of stress aren’t permanent. In 1990, Mario Capecchi and Oliver Smythies figured out how to eliminate individual genes in mice. The technique is known as gene knockout technology, and it is involved in almost every aspect of modern biology. It is a discovery everyone wishes wasn’t necessary, but it has allowed countless patients to understand what’s happening to them. In 1906, Alois Alzheimer identified the pathology of the neurodegenerative disease that now bears her name. Until Joseph Altman came along in 1962 and injected adults with a radioactive molecule, people believed that the birth of new neurons only occurred during embryonic development. Turns out the radioactive molecule incorporated into new strands of DNA–later leading to the discovery of radioactive cells, which indicated that new neurons had formed and gave birth to neurogenesis. It started in 1971 when Professor John O’Keefe discovered the brain’s internal positioning system. It continued in 2005 when Professors Edvard Moser and May-Britt Moser discovered another part of the brain that acts as a nautical chart. Then the importance of the combined discovery of the brain’s “GPS” system was confirmed when all three won the Nobel Prize in 2014. In 2015, Professor Samuel Wang led a study that suggested a connection between abnormalities of the cerebellum and some of the sensory difficulties seen in autism spectrum disorders. This could be a big breakthrough for the growing number of people on the spectrum. In 1895, Wilhelm Roentgen demonstrated the first radiograph and began writing a new chapter in the effort of neurologists to more accurately diagnose medical conditions related to nerves and the nervous system. Without his discovery, neurology’s impact on healthcare would likely look a lot different. At Elliot Health System, we value the pioneering efforts of neurologists. Join us. According to the Kaiser Family Foundation, nearly 50 percent of the country’s more than 900,000 MDs and DOs are primary care physicians. In just three years, the United States will need another 20,400 primary care physicians, if projections from the U.S. Health Resources & Services Administration are correct. This is good news for the more than 440,000 physicians across the country who practice family medicine, internal medicine, gynecology, geriatrics and pediatrics. It’s equally good news for nurse practitioners and physician assistants, who are increasingly being called upon to play larger roles in caring for patients. But those who are most likely to benefit from the shortage of primary care physicians are people currently studying to become doctors, nurse practitioners and physician assistants, who are likely to have plenty of career options. Primary care physicians are the backbone of the country’s healthcare system. Their relationships with patients often span decades and can even include entire lifespans. For many healthcare professionals, the deep patient relationships and ability to have a significant influence a person’s overall health over long periods of time is what makes primary care so attractive. Where you work. While many people consider primary care to be the specialty of ambulatory clinics, physicians can actually be found in community hospitals, teaching hospitals, birth centers, nursing homes and retirement communities. Beyond patient care. Primary care isn’t all about interacting with patients in a clinical setting. Because it plays such an important role in the nation’s healthcare system, there are ample opportunities to conduct research and teach. Currently, the U.S. Agency for Healthcare Research and Quality is focusing research on increasing access to medication-assisted treatment of opioid abuse, developing new models of workforce configurations to address physician shortages and advancing heart health in family medicine, among other areas of research. In addition, teaching hospitals across the country will always need healthcare professionals who can effectively train the next generation of physicians. In the last couple of years, nurse practitioners have begun playing a larger role in the country’s healthcare system. Part of this is due to the fact that NPs tend to work in areas of the country where the doctor shortage is most acute, part of it is due to people’s comfort with NPs. Where you work. Nurse practitioners can be found in community hospitals, academic settings, clinics and even in patients’ homes. Beyond patient care. According to the American Association of Colleges of Nursing, colleges and universities across the country are facing faculty shortages. This means there are ample opportunities for nurse practitioners to become faculty members and train the next generation of nurses. After the passage of the Affordable Care Act, PAs were finally recognized as important members of the country’s team of professionals that delivers primary care. Since then, the physician shortage and a growing understanding of the important role PAs play in the healthcare system have sparked a movement in the country to remove regulations that prevent them from using their expanded functions. Where you work. PAs are unique because they can work autonomously as well as in collaboration with other members of the healthcare team. PAs treat patients in community hospitals, teaching hospitals, nursing homes, retail clinics and nursing homes. Beyond patient care. Because physician assistants are in such high demand, there are many academic jobs available for PAs who wish to teach. Most of the jobs are at colleges and universities. Which option will you choose? Elliot Health System has options for all sorts of options for providers. Each year, more than 130 million Americans suffer an injury or illness that is serious enough to lead them to emergency departments, according to the Centers for Disease Control and Prevention (CDC). Some injuries and illnesses are self-inflicted. Others appear out of the blue. All require exceptional trauma/critical care delivered by doctors who must be prepared for any situation at any time. Someone experiences myocardial infarction once every 43 seconds in the United States, according to the CDC. That adds up to 735,000 people who find themselves in desperate need of medical assistance. Thanks to awareness campaigns such as “Go Red for Women” and “Mission: Lifeline Act in Time,” many patients recognize both the symptoms and the importance of getting help as quickly as possible. And thanks to advances in technology and care, physicians have been able to increase survival rates for people who have suffered a heart attack and even cardiac arrest. It’s estimated to cost the country $55 billion in health and social costs each year. The CDC says that it kills nearly 80 people a day. It’s been called an epidemic by the Department of Health & Human Services. It is opioid abuse, and no physicians seem to be immune from its effects. The epidemic presents challenges to physicians who have to provide the trauma/critical care for patients who have overdosed on opioids and prescribe the drugs with great care. Last year in the United States, more than 35,000 people died after being involved in motor vehicle crashes, according to information released by the U.S. Department of Transportation. That’s a 7.2 percent increase from the previous year. In addition, another 2.44 million people were injured. Vehicle crash victims can be incredibly challenging for physicians because they often present with an array of injuries that require a variety of trauma/critical care protocols, including herniated disks, spinal damage, head injuries, muscle weakness and leg pain. The Agency for Healthcare Research and Quality says that one person dies of an injury every three minutes in the United States–and many of those injuries occur after falls. In fact, nearly as many people die from injuries suffered in falls as those who are injured in vehicle crashes, and falls are the top reason people aged 65 and older receive trauma/critical care in emergency departments. Physicians who are treating people injured after falling most commonly provide care for head injuries and hip fractures, according to the CDC. While not as common as heart attacks, opioid abuse, crashes or falls, poisoning is a common cause for emergency department visits. In 2014, more than 2 million people sought treatment after being exposed to some form of poison. According to Poison Control, a national organization that actively keeps tabs on the country’s 55 poison control centers, a person calls for assistance every 15 seconds in the United States. Most of the victims of poisoning are children younger than 6 who have been poisoned by personal care products, cleaning substances and pain medications. Most adults are poisoned by pain medication, sedatives, sleeping medications, antidepressants and pain medications. With more people than ever relying on emergency departments as their primary access point, physicians who are capable of delivering trauma/critical care play an important role in the country’s healthcare system. This may change in the future, but for now, the country continues to depend on the expertise of those who can deliver trauma/critical care. 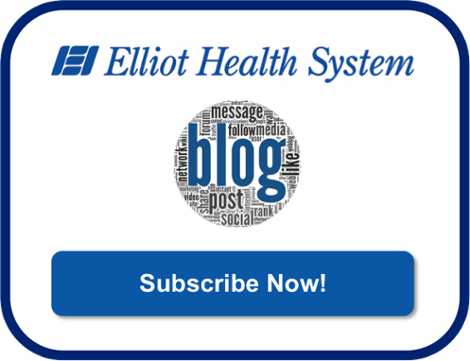 Are you interested in a trauma/critical care career at Elliot Health System? Family medicine physicians are more than just doctors. They are the backbone of the public healthcare system, often identifying important public health trends before they can become more acute. They help improve access to care for people from all walks of life. They are among the most trusted professionals in the country. But they also face the same challenges that are affecting all doctors and specialties these days. Government mandates, changing reimbursement models and increased administrative duties make the job as challenging as ever. But it’s still an incredibly rewarding career–why else would nearly one-third of all physicians in the United States practice family medicine? The United States is in the throes of a physician shortage. According to the Association of American Medical Colleges, the country will be face a shortage of between 46,000 and 90,000 physicians by 2025. While that’s bad news for the country, it means that family medicine physicians will continue to be in demand. Having job security allows you to focus on delivering exceptional care without having to devote an inordinate amount of time to administrative duties such as marketing. Unlike specialists, family medicine physicians care for the entire patient–from head to toe. This means a family medicine physician will never know what cases patients will bring through your door–from chronic illness to complicated medical and psychosocial issues to the common cold. The variety of cases keeps physicians sharp, intellectually engaged and on their game as it relates to diagnostic skills. In addition, the variety of cases makes family medicine physicians incredibly valuable in research settings, where their clinical experience provides a real-world perspective to discussions that are often steeped in theory. There is something that is incredibly rewarding about caring for patients across their lifespans. The family medicine physician often begins seeing patients when they are quite young and continues caring for them throughout their lives. This longevity creates bonds between physician and patients that last lifetimes, improve outcomes and truly allows for shared decision-making when it comes to determining the best courses of action. In a world where short office visits are more common, having the ability to really get to know patients is becoming increasingly rare–and perhaps the most rewarding aspect of being a family medicine physician. According to the American Academy of Family Physicians, family medicine physicians consistently report higher levels of professional satisfaction than other physicians–and it is largely due to their ability to strike a better work-life balance. Family medicine tends to offer a higher degree of flexibility than other medical specialties. Because they are in such high demand, they can typically pick their practice environment, practice focus, hours and settings (large urban hospital versus a smaller community hospital, for example). These options allow family medicine physicians to strike a more rewarding work-life balance. A family medicine physician can work anywhere in the country, from a community hospital to a small-town clinic to a bustling urban hospital complete with cath labs and helicopter pads. Being able to choose the clinical setting in which you want to work is one of the most intriguing benefits of being a family medicine physician. Many doctors cite a desire to work at community hospitals, where they are able to fully utilize the full range of their expanded functions, take on important leadership roles within the hospitals and enjoy the high quality of life that comes with living in a smaller community. Elliot Health System is always interested in hearing from incredible family medicine physicians. Each year, somewhere between 400,000 births in the United States are preterm, according to the Centers for Disease Control and Prevention. Thanks to the exceptional work of neonatologists across the country, 95 percent of the preterm babies survive. While pediatricians are wonderful and can solve most of the common health problems newborns experience, neonatologists deal with the most complex cases. Those physicians who make the decision to become neonatologists commit to three years of residency training in general pediatrics, three years of additional training in newborn intensive care and becoming certified by the American Board of Pediatrics and the Sub-board of Neonatal-Perinatal Medicine. As recently as two decades ago, a neonatologist would not have been able to fathom just how successful–medically and economically–the profession would become. Since the first neonatologist achieved board certification in the 1970s, the profession has become critically important to both children who are born prematurely and the hospitals in which they are delivered. In the United States, more babies with an extremely low birth weight (that which is less than 3.3 pounds) are born than in any other developed country, according to the Future of Children. These children are at increased risk for debilitating medical conditions, learning disabilities and death. But thanks to the expanding role of the neonatologist and neonatal intensive care units across the country, survival rates have increased dramatically. In 1960, for example, less than 10 percent of extremely low birth weight babies lived to their first birthday. Today, that percentage is higher than 60. The medical success of neonatologists has driven hospitals to invest heavily in their NICUs and physicians. Both afford the neonatologist the ability to enjoy medical and economic success. For physicians who want to be on the cutting edge of medical research, neonatology offers ample opportunities. According to the National Institutes of Health, pediatrics (and infant mortality) is consistently among the most well-funded medical research area in the United States. Due to the complex nature of both the clinical work and the research, many neonatologists are invaluable when it comes to finding better ways to deliver critical care to babies who are born prematurely, with low birth rates or medical conditions that put their lives at risk. Having opportunities to practice medicine as both a clinician and a researcher is one of the key benefits that becoming a neonatologist delivers. Neonatal intensive care units have become incredibly important to hospitals. Not only have they helped neonatologists achieve medical success, but they have helped hospitals find solid financial footing. None of these outcomes would be possible if not for the teamwork that takes place in the NICU. The neonatologist works closely with a charge nurse, a clinical nurse specialist, a neonatal nurse practitioner, a neonatal physician assistant, a social worker, registered nurses, technicians, respiratory therapists and other neonatologists. Many neonatologists say that the teamwork and camaraderie that exists in the NICU is unlike anything that takes place in other parts of the hospital. There are bonds that can only form when healthcare professionals come together to help children survive–and those bonds make being a neonatologist incredibly rewarding. Are you interested in a Neonatology career with Elliot Health System?